Penalized For Supporting The Performance Rights Act? There's a case being made that artists who support the Performance Rights Act are being penalized secretly by the National Association of Broadcasters (NAB). Bono, the most vocal supporter of the bill, found the Put On Your Boots single from the current U2 album with a minimum of airplay despite a huge promotional pitch by the record label, an opening spot at the inauguration concert, and a few other prime opportunities afforded only to superstar acts. While support in the music community has grown for the bill, the NAB has ratcheted up its lobbying effort against it, spouting all sorts of doom and gloom about what will happen should the bill pass. The Performance Rights Act pays a royalty to the artist, not the songwriter, each time a song is played on the radio. 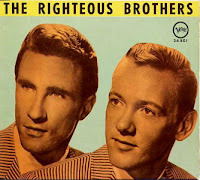 Until now, artists with massive airplay (like the Righteous Brothers, who's You've Lost That Lovin' Feeling is the most played song in history) have never received a cent for any airplay. 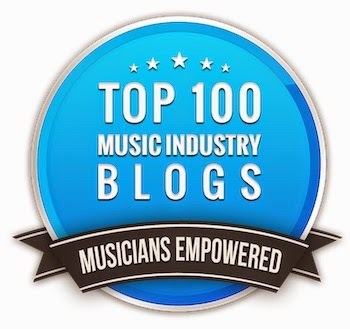 The United States is the only country that does not pay performance royalties. The NAB claims that having to pay a performance royalty will force all radio stations to convert to talk radio because of the increased costs of doing business. This line of thinking, of course, has no basis in fact. Radio stations are immensely profitable and are increasingly owned by large station groups and broadcast conglomerates. A performance royalty will slightly cut into those profits, but the NAB acts as if it's so much money that the stations can no longer stay in business. Believe me, if it were as bad as the NAB claims it will be, station groups would be shedding their stations faster than an MP3 stream, which might actually be good for radio in the long run since the stations would probably be more local in their programming again instead of using the homogenized national playlist that we're forced to listen to now. Some think that even if what the NAB says is true, it would still force a return to local programming, only with the artists signing waivers against any royalty collection. History says that this won't work. When radio first started in the 20's, owners tried to make a go of it without the higher priced "stars" of the day. After a few years of mediocre ratings, they finally gave in to using star power and their ratings and the fortunes of the industry soared. The Performance Rights Act is coming to a vote in Congress soon. It should be interesting which lobbying group, the one for the broadcasters (the NAB) or the one for the record labels (the RIAA), comes out on top. Most of the time when someone wants me to check out their band, they send me to their website or MySpace page where they have a video that they shot at a rehearsal studio or a gig. Invariably, it's so bad that I can't get a real idea of what they really sound or look like. So here are some tips from chapter 16 of my band improvement book, How To Make Your Band Sound Great, that will take your videos from the unwatchable to the "Now I get the idea" category. In fact, I just signed a publishing deal to write a book specifically to address issues like this called "The Musician's Video Handbook." Look for it next year. There are basically two things that you need to make a great live band video (assuming that you play great and put on a great show) - great audio and a tripod. Forget about camera quality, resolution, format, or any kind of specs. If your video sounds bad or is shaking like crazy - it’s just a bad video although there are a few exceptions that we’ll touch on in a minute. Let’s look at the audio first. Despite what anyone tells you, audio is always looked down upon as the poor stepchild of picture by video people, mostly because they don’t understand it. That being said, if the sound is bad then the picture always seems worse than it really is, so it’s really important to pay close attention to the audio when making a video. So you see that the only way you stand a chance to get something decent is to make totally sure that the audio is at least on the same quality standard as your picture. There are a couple of things that you can do to make sure that the audio quality is a lot better than what you can get with just the mic on the camera. Use an external mic. You probably have some extra mics laying around already or at least you can borrow a couple, so let’s put them to use. The problem is that most consumer cameras have mini-jack mic inputs that won’t readily interface to an XLR or phone plug. No problem, buy an XLR to mini-plug adapter. They’re cheap and just about any mic you choose is going to be better than the $2 on-board camera mic. It will make a world of difference. Another possibility to to use a feed from the mixing board, or a combination of board feed and microphone that you can balance later. Turn off the limiter. Most cameras have a built-in audio limiter to try to keep audio overload to a minimum. While this might work OK when shooting those nice vacation movies, it’s horrible for band use, squashing and twisting your audio into a heap of crap even on the most expensive professional cameras. In all but the cheapest cameras, you can defeat the limiter by diving into the software menus and finding the Defeat selection in the audio section. You’ll hear the benefits of this action immediately. Turn the input level down. Just about any band will easily overload the audio inputs of a camera since they’re usually designed for capturing the noise of a family outing rather than the level of any number of instruments playing. If there’s a level control knob on the camera, turn it as low as it will go without turning it off. If it’s in a software menu, do the same. If you’re still overloading the input (the overload indicators are flickering red), you’ll have to get an attenuator pad to lower the microphone’s output, but these are pretty inexpensive (less than $20) and can come in handy for some every day audio purposes as well. Remember, it’s a lot better to have audio where the level is too low than too high. If you’re shooting a gig to just see how you’re doing or shooting a music video, you’ll need a tripod for at least some of the things you shoot. If you’re shooting a gig, get a tripod and set it up as high as it will go so you won’t see audience heads and people passing in front. A nice stable image will make viewing a lot easier later. If you’re shooting something for a music video, hand held shots can look exciting and hip, but you’ll need at least some tripod shots for things like B-roll, establishing shots and anything where you need more than a couple of seconds of a steady shot. Although tripods can run as high as a couple of thousand dollars, even a $25 cheapy is better than none at all. As with most everything, the more you spend the better it will be in that it will last a whole lot longer, be sturdier, and lighter, but anything is better that nothing. Just paying attention to these 2 things will make your band videos so much easier to watch for both you and your audience that you won’t believe it. The paperless concert ticket is now here and the question is, will it make attending an event any easier? The Miley Cyrus tour will be the first to use electronic ticketing, announced Ticketmaster yesterday, and the scalpers and secondary ticket brokers are pretty sore about it. Why? Because electronic ticketing makes it just about impossible to scalp or resell a ticket, especially if it's a bar code on your iPhone like some see coming in our future. Ticketholders for the Cyrus tour are required to bring the credit card they used to buy the ticket as well as a form of photo ID. This basically puts everyone on the "Will Call" list, which can lead to untold hassles as anyone who's ever been on that list can tell you. Will it make the lines longer? Probably at first until the system gets shaken out, but electronic ticketing doesn't seem to be a problem at the airport any more. And how is it that of all artists, it's Miley Cyrus that leads the charge into the new market? Disney really tries to keep the prices reasonable because they know that their events are for the family. If you exclude too many family members because of price, it hurts their brand more than most. Plus, scalpers caused an absolute fiasco during the last Cyrus tour that even caused some congressional hearings as a result. The secondary ticket market is furious and apprehensive, as one can imagine, because if paperless ticketing catches on, they're dead. But it will be so nice to be able to buy a ticket at face value for a change. And it will be just as nice to actually have a chance at a great seat without having to pay the premium charged by the resellers. It almost makes the service charges acceptable. As posted here recently, concert attendance for the year is down about 22% so far, but summer is when the major money is made. Now preliminary reports say that sales for the Nine Inch Nails/Jane's Addiction, Dave Mathews Band and Aerosmith tours are shaping up as soft. But the word is that the reformed Creed tour is a disaster while both The Fray and Yanni are only a bit better. In general, up-front ticket sales are way down so promoters are really pushing walk-up ticket sales. It's a bit too early to say just how sales will end up, but we'll probably know by the 4rth of July. One thing's for sure, ticket prices are way too high, consumers are nearing a revolt over service charges, and many artists are over-saturated in the markets they're visiting. Consumers are tired of seeing the same old thing. Now if ticket prices were $20, sales might be a completely different story, but the chances of that are slim. Yet sales spiked by a factor of 6 after LiveNation's "No Fee Wednesdays" was announced last week, which shows that price really is an issue (even though parking and facility's fees were not part of the promotion). What we could be seeing is a turning point in a part of the music business that sorely needs one.